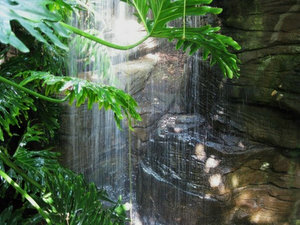 Discover the wonders of nature at the Foellinger-Freimann Botanical Conservatory ~ an oasis that offers a place of beauty and inspiration. Visitors may tour three indoor gardens with over 25,000 square feet that showcase 1200 plants (over 500 species) and 72 different types of cactus. Outdoors, you will find four gardens with a variety of ornamental grasses, rhododendrons, trees, shrubs and perennials. Our youngest visitors are always welcome to visit the Discovery Corner behind Woody the Talking Tree where they’ll find stories and activities relating to a monthly theme. Our materials are all safe and suitable for kids pre-K through 1st grade. Adults are encouraged to read aloud to their young learners and explore ideas together. 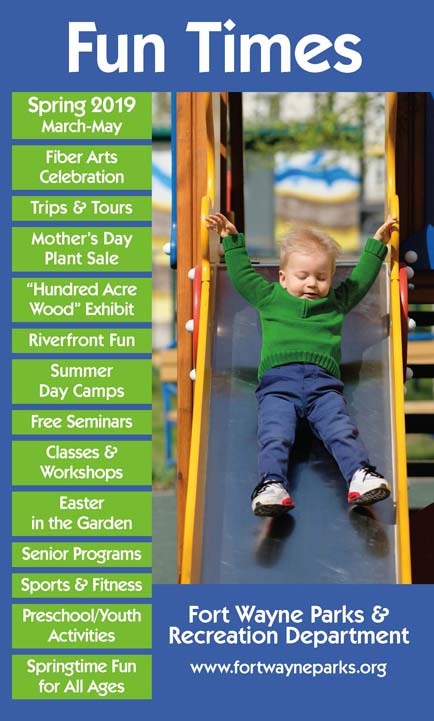 The Discovery Corner is free with general admission; pre-registration is not required. 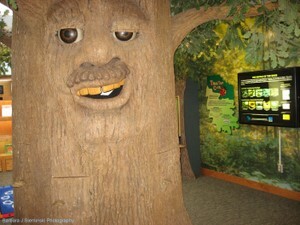 Before you leave the Discovery Corner, make sure you say "hi" to Woody the Talking Tree and have the kids crawl through our worm tunnel. Enjoy all of our interactive displays on your way through our three gardens "under glass"! On your way out stop by the gift shop for unique items to remember your visit. Hours & Rates Learn more about the hours and admission rates. Directions, Parking & Maps Download directions, a garden map and a visitor's guide. About the Conservatory Discover how two best friends got the idea for a Conservatory. 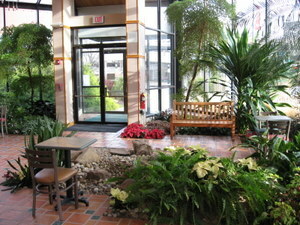 The Conservatory now offers wireless internet!